Emilio Estevez in 2018Emilio Estevez is a famous American actor, screenwriter, and director who began his professional career in 1982 and continues to develop it till the present day. The man became an acclaimed director after the release of the movies Bobby and The War at Home. Emilio was born in May 1962 on Staten Island, New York City. His grandparents were immigrants from Spain and Ireland. Estevez's father, actor Martin Sheen, was a devout Catholic, and mother Janet Templeton was an artist. The family also had other children: sister Renée Estevez, and brothers Ramon Estevez and Charlie Sheen. When it was the best age to start school, the boy enrolled in an ordinary public school in New York City. However, soon his father made significant progress in his career, and the family could ensure a better education for the children, so the boy transferred to a prestigious private academy. The family lived on Manhattan’s Upper East Side until they moved west in 1968. Emilio was presented with a portable movie camera on his 11th birthday. The boy together with his brother Charlie and school friends began to make short films. Estevez wrote the scripts for them. At the same time, the boy appeared in the short anti-nuclear power film Meet Mr. Bomb. Three years later, the young man was lucky enough to take part in a trip to the Philippines. He accompanied his father, who starred in the film Apocalypse Now. Emilio got a role as an extra, but in the end, his scenes were deleted. When they returned to the homeland, the boy continued to pursue an acting career. A school play helped his father to understand that Emilio would be an actor finally. The young man co-wrote the script and got a leading role in the film about the veterans of the Vietnam War. In 1980, Emilio graduated from school and, despite the persuasion of parents, refused to go to college. He said he wanted to be an actor and planned to develop his career further. The young man did not take the stage name of his father, because Emilio did not want to be perceived solely as Sheen’s son. He planned to build his career, which he succeeded. His brothers and sister also chose an acting career. 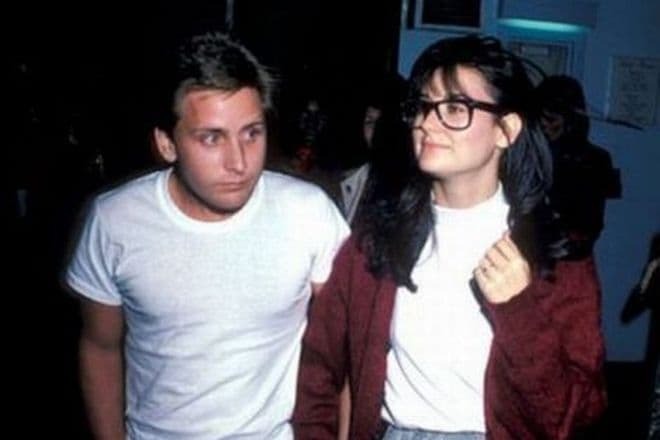 Emilio Estevez began his career in 1980 as a member of the Brat Pack. 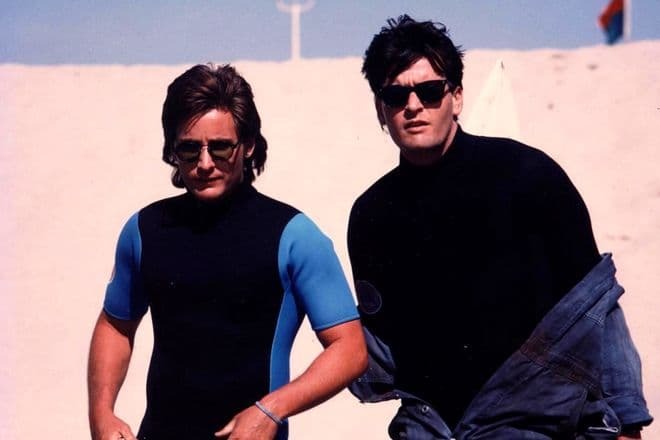 In addition to the young novice actor, the group also included Anthony Michael Hall, Judd Nelson, Demi Moore, Andrew McCarthy, etc. In 1982, the man starred as Johnny Collins in the film Tex. Later, the acting career of the young man began to develop very rapidly. In 1983, he starred in the films The Outsiders and Nightmares, one year later the movie Repo Man was released, and the actor got the role of Otto Maddox. From 1985 to 1990, the actor starred in 10 films. The action movie Maximum Overdrive, where the man appeared in 1986 as Bill Robinson, the crime-comedy movie Stakeout, the films The War at Home and Young Guns were recognized as the most successful films of the actor. 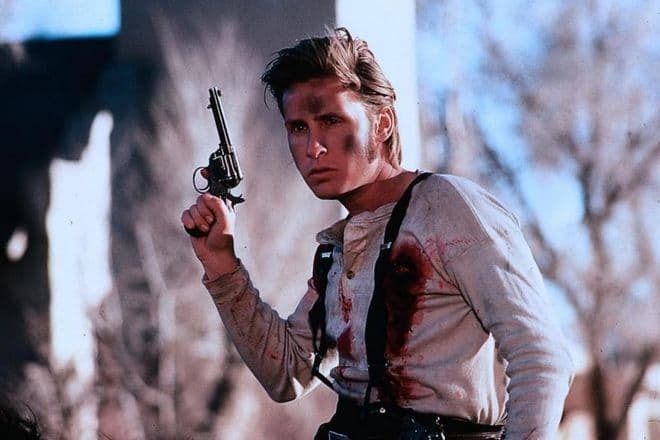 Emilio Estevez made his debut as a director in 1986. The man succeeded in this sphere no less than in acting. He created many successful films and television projects, wrote excellent scripts that were very popular. In the new century, Estevez has continued to include new projects in the filmography. He has participated in the shooting of the music videos, which deserve special attention too. It is not surprising that the actor’s friends are also pop singers. One of them is Jon Bon Jovi, and the actor appeared in the music video for his song "Blaze of Glory." Bobby (2006) was a significant film in the further development of the actor’s career. It is the drama where Emilio worked as a director and actor. Although critics and viewers gave mixed reviews, it won many awards and became the winner at film festivals. In 2010, the film The Way was shown at the Toronto Film Festival. 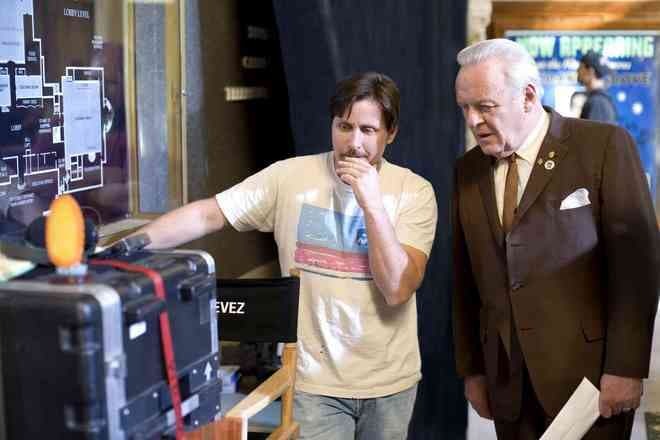 It starred Emilio’s father, Martin Sheen. There is little information about the actor’s personal life. When he was developing his career actively, his beloved woman was model Carey Salley. In a happy marriage of the creative couple, two children were born. In 1984, the woman gave birth to an actor's son, Taylor, and two years later their family was waiting for another child. Emilio's daughter was born in early 1986. However, after the birth of the second child, the relationships did not last long. The same year the young people broke up. 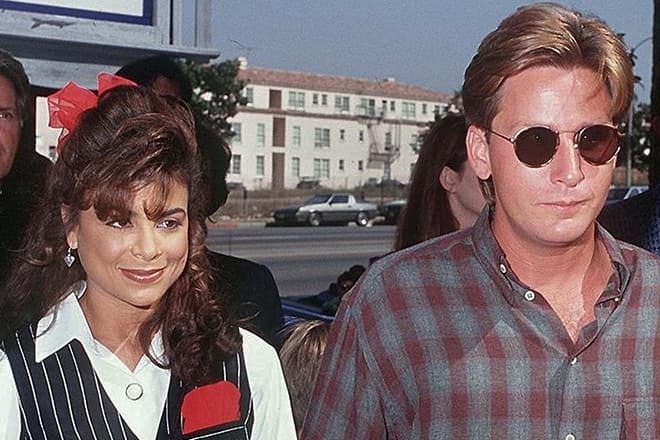 In 1992, the man fell in love again, this time his girlfriend was singer-choreographer Paula Julie Abdul. The young woman wanted to have children almost immediately after the wedding, but Emilio already had a son and a daughter at that time. So he was not in a hurry to resolve this issue. The marriage of the couple did not last long, and in 1994, they already divorced. The man met on the set Demi Moore, whose biography had a lot of different stories. The woman confessed in an interview that Estevez became her first true love. This love affair did not last long, which did not prevent the couple from remaining good friends. In 2006, the actors even starred in Estevez' movie Bobby as a feuding married couple. Emilio had a career break for a while after the release of the film The Way in 2010 and the voicing of two cartoons in 2012. However, in 2018, he drew attention to himself again and pleased his fans with a new movie called The Public. The film tells about the library, which at night turns into a shelter for homeless and other antisocial characters. It causes dissatisfaction of the police, but the library management does not give up. The actor continues to work in the film industry, but he mainly gives preference to directing. Although he has a busy schedule and a lot of time is devoted to work, new photos regularly appear on the Internet where Emilio looks excellent. He has the height of 169 cm with average weight, and the actor’s pleasant appearance still attracts many women.